Kolkata: When, a year-and-a-half ago, Vinay Bagri, a chartered accountant in his mid-30s, quit his cushy job with a transnational finance company in Hyderabad to join his father Indra Kumar Bagri’s 15-year-old business of trading in illiquid shares, he was probably lured into it by the possibility of supernormal profits. Indra Kumar Bagri, who used to manufacture jute bags until labour unrest forced him to shut shop in the mid-1990s, has since been buying thinly traded shares of companies such as Orissa Minerals Development Co. Ltd, Bharat Hotels Ltd, Bharti Telecom Ltd, Pilani Investment and Industries Corp. Ltd, Bharat Nidhi Ltd and PNB Finance Ltd in the hope that some day he would make a windfall out of these investments. Except Orissa Minerals and Bharat Hotels, the rest are investment arms of large business families. They are listed on various regional bourses such as the Calcutta Stock Exchange and the Delhi Stock Exchange, but trading in their shares stopped many years ago. For instance, Pilani, which is the principal holding firm of the Birla family, has investments in listed companies worth at least Rs1,770 crore at current market prices, according to its latest annual report. Because of its small equity base of Rs7.9 crore, which is divided into 7.9 million shares of Rs10 each, Pilani’s investments in listed companies alone are worth some Rs2,240 per share. Orissa Minerals—a steel ministry controlled miner—is another such firm, and has an estimated iron ore reserve of 200 million tonnes in six mines in Orissa. In fiscal 2009, its earnings per share were Rs3,030 and it paid a dividend of Rs450 per share. Orissa Minerals is listed on the Calcutta Stock Exchange, but trading in its shares stopped in 1985. The last trade took place 24 years ago at Rs3.75 a share, but when on 17 October the exchange restarted trading in the Orissa Minerals stock, it opened at Rs27,000 apiece. Some 20-25 people across the country actively trade in illiquid shares, according to four traders in illiquid shares. For the relatively weaker players, buying these shares is easier than selling them, according to Vinay Bagri. “For all companies, you could get from the registrar of companies a list of shareholders with their addresses. You approach shareholders one by one, and after a point they come on their own," says Vinay Bagri. But finding buyers for these shares isn’t easy. “Father owns shares in some 1,000 companies. His investments are probably worth millions on paper, but no one knows when he would be able to cash them," he adds. Indra Kumar Bagri holds “a large number" of shares of Orissa Minerals. Though trading has restarted on the Calcutta Stock Exchange, he has not been able to sell because trading in the stock continues to be thin. On Tuesday, only three shares of Orissa Minerals changed hands on the bourse at Rs23,400 apiece. “This business needs a lot of long-term capital and patience… I feel the opportunity cost for someone like me is huge," says Vinay Bagri, who is looking to take up a job with an information technology company. “Given my professional experience, I think I could earn in a year what father would make out of his investment in Orissa Minerals if he could sell the shares at all… This isn’t a business for the long haul, certainly not for me." 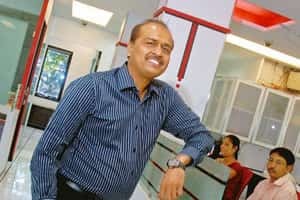 But the biggest player in this business, Mumbai-based 3A Capital Services Ltd, remains bullish on this business, and is planning to list itself on the Bombay Stock Exchange soon, according to its chairman and managing director Rajan Shah. The company, which employs around 85 people and had a turnover of Rs15 crore in the six-month period till September, is giving finishing touches to its draft red herring prospectus. 3A Capital would be selling at least 25% of its shares to raise Rs50 crore, added Shah, who for the past 14 years has been funding this business on his own. Shah, who is also a chartered accountant, was initiated into this business after he made a “significant profit" from the shares of a cotton mill in Mumbai’s Lower Parel area, which he had bought for Rs150 apiece. “After the mill obtained permission for real estate development, the price of its shares shot up to Rs40,000 (apiece) despite suspension of trading on the Bombay Stock Exchange," said Shah. Over the past 14 years, he has invested in shares of at least 100 companies. Currently, he is actively trading in shares of Bharti Telecom, Bharat Hotels, Orissa Minerals, Pilani Investments and even actor Amitabh Bachchan-founded AB Corp. Ltd.
His interest in Bharti stems from its 45.3% stake in India’s biggest mobile telephony company Bharti Airtel Ltd. Asked why he was buying AB Corp.’s shares, Shah said he has been investing in the shares of sick companies, which he thought could be turned around. Earlier this year, Shah acquired 75% stake in Star Leasing Ltd, a Bombay Stock Exchange-listed defunct non-banking finance company for an undisclosed sum. He is now trying to sell it for Rs1.5 crore. “Any company looking to list itself on BSE can easily do so by reverse merging itself with Star Leasing," Shah said, explaining why people were interested in taking it over. But investors such as Shah mostly buy shares for promoters of family-run businesses, according to Ajit Kumar Day, a veteran stockbroker in Kolkata, who for almost 30 years held a large number of shares of PNB Finance—one of the key holding firms of Bennett, Coleman and Co. Ltd, which publishes The Times of India and The Economic Times newspapers and runs the Times Now and ET Now television channels. After years of persuasion, he recently sold his shares in PNB Finance when an investor offered him Rs200 a share—the price he had asked for years ago. “A lot of business families do not want trading in their investment firms to restart because it would lead to price discovery," added Day. “The promoters themselves know the intrinsic value of the shares... They engage these investors to persuade retail investors to sell out." Ahmedabad-based Chimanlal Shah, one of the oldest people in this business, agrees. “Sometimes, we do get into arrangements with promoters to help them buy shares from retail investors," said Shah, who over the past 20 years has traded in at least 200 illiquid shares. “The main buyers of these shares are the promoters themselves and high networth individuals who can afford to wait for, say, 10 years," he added. Though it’s been going on for years, the business may not have a long way to go, according to Day. “The stock in the hands of retail investors is diminishing... It may not be long before these investors run aground," said Day. Chimanlal Shah, however, disagrees. “There are so many illiquid shares in India that this business will go on for years... We will have to keep finding new opportunities."